SYNOPSIS: Here's a great, moody, forgotten slice of black & white drama (with a side of horror). A young Edward Albert stars as 12 year old boy who runs away from his miserable parents. It's just after the Civil War and he wanders through the countryside meeting various characters. First is a guy named "Dirty Jim" (Hull) who tells him the tale of the "Fool Killer" which leaves an impression on the young boy. 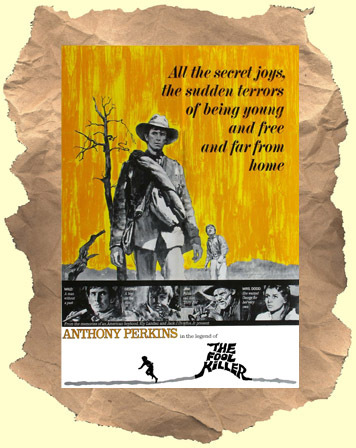 After a few more adventures he meets up with Civil War vet Anthony Perkins who befriends the boy but due to an injury may not be altogether sane. It reminded me at times, through tone and style, of the classic Charles Laughton film Night of the Hunter. Great black & white photography. A recommended must see!